So, stone stock 72 Pantera. Stock tire sizes are 185/70 and 215/70x15. Assuming OEM wheels, any good alternatives? BFG Radial TA's are a popular alternative. Decent grip, they have the stock white letter look and they are pretty cheep. They come in a lot of sizes and are pretty popluar with the vintage car guys. Just don't track them...they don't have a very high speed rating. Also, you can fit bigger then a 215 on the rear 8inch. BFG does look pretty good. I like the white letters as they closely resemble the Arrivas which I find attractive on the Pantera. Just got my car and they have 295/50's on the rear. The side walls are sunken, and they look bad. What is the widest tire I can use on the 15" wheel and not have sunken sidewalls? They list 215, 225, 235, and so on. Don't know if they are REALLY available though. I run 8 inch wide rims all around with to yo pro is 225 on the ft and 295 on the rears they look good I don't know what you mean by sunken. Whatever you choose 15 inch tires are getting scarce for our cars. BFGoodrich was out of stock when I needed them. Hard to find anything close to correct sizes with speed ratings above 106 mph. Tire Rack has plenty of different R rated BFG T/As. I guess the choice is stock rims and limited tire choices or bigger hoops for "faster" tires. Tires for the original 15" Campagnolo wheels can be sourced from "classic tire" suppliers or sourced from "contemporary tire" suppliers. Re-issues of classic tires are "reproductions" in appearance and size, but they are constructed using modern rubber compounds and modern construction techniques. They "look" like the classic tire they are emulating in sidewall design and tread pattern, they are available in the right size for your car, but they are thoroughly modern in terms of performance. Longstone Classic Tyres of Bawtry, South Yorkshire, England, is the only "supplier" of reproduction tires who has shown an interest in our classic Italian cars. Longstone's US distributor is Lucas Classic Tires of Long Beach, California. Classic tires of the proper size for some applications are available from Pirelli, Michelin, and Avon. Avon Tires are also available in the US via Frisby Performance Tire (Park City Illinois), Roger Krause Racing (Castro Valley California), SascoSports (Alton Virginia), or Sierra Tire (Henderson Nevada). The availability of contemporary tires for 15” wheels has been dwindling over the last couple of decades; especially for tires having a speed rating of V (or higher). The options in selecting the same make and model tires in the front as you select for the rear are highly limited. 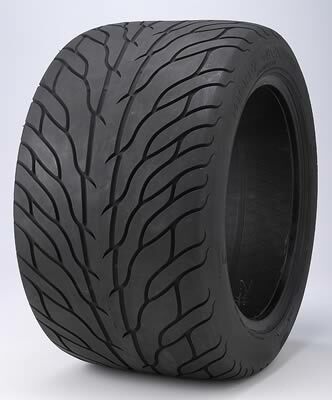 Pantera International advocates using front and rear tires composed of sets of the same make and model tire. This set is available in Michelin XWX re-issues. There is little demand for this size, most owners of the earliest Panteras opt for tires in the sizes of tire set 2 or tire set 3; which are by far the two most popular and therefore most common tire sets for narrow body Panteras. This set is available in BF Goodrich Radial T/A (speed rated S). Historic Trivia: Few people realize the popular 15x10 Campy rear wheels were actually designed circa 1972 or 1973 for the H60V15 Goodyear Arriva rear tires (255mm cross section). The Pirelli P7 tires did not enter the scene until approximately 1977. The offset of the 15x10 wheels was chosen to recess the Arriva tires about 15mm from the fender's edge. The 255/60R15 is available in Pirelli CN12 re-issues (speed rated W). But the CN12 Pirelli is not available in the 205/60R15 front size. Pity … that would be a great alternative to the BF Goodrich tire set. Most people consider this tire set for 15x8 front wheels and 15x10 rear wheels, BUT the tires will fit the smaller 15x7 front wheels and 15x8 rear wheels. The Front tire is available in Pirelli P7 re-issues and in Pirelli P-Zero System. BUT THE REAR TIRE IS NOT AVAILABLE ANYWHERE. The Pantera and Longchamp GTS were the only OEM applications for tires in the rear size, so the tire manufacturers see no financial incentive to manufacture them. Dougal Cawley of Longstone Classic Tyres says "I am in talks with Pirelli about the 285/50R15 size tire, but it is not as yet set in production. It will take time. Please be patient." By taking time, he means "years". 205/60R15 front (mounted on 15x7 wheels) and 295/50R15 rear. These tires are larger in diameter than the Pirelli P7s, but the difference in tire diameter front to rear is appropriately 2 inches. This set is available in Pirelli P7 re-issues. This tire set is available from 2 manufacturers, but it is not available in the same model tire for front and rear. Thanks for that George. Tire Rack has the BFG 255/60R15, just ordered. BFG T/As are rated at 106 mph and available in 215 and 255/60x15. I have used these tires on my GT6 and TR8. Perfectly good tires in just about any weather conditions one might want to drive a Pantera in. I guess if one wants to storm around at higher speeds, they can a) enjoy spending some insurance, ticket, and legal fee money , and b) upgrade to larger everything thing to handle those speeds well north of 100mph !!!! BTW: the rears are not the 10" width. do a search here others have other ideas all good. PS that is how they fill the rear see avatar. Are these the correct 7x15 fronts from that chart? I think they will be OK. The things to be concerned about are total width and rolling diameter. Under 26" dia. seems to work best with minimal rubbing. There may be some other posts around here with size options and opinions, but that's the size I'd pick if you're using 10" rear and 8" fronts. For 7" fronts maybe the 215 or even 205 might be a better fit. It depends what you're running now and if any rubbing is occurring at full steering lock. You might be best to look for 225/50-15 as the height is more reasonable. 23.9" vs 25.6". More room in the wheel arch, looks a bit "sportier", car rake etc. There are a few different makes out there. You're right about the sizes Bud but if you know of any manufacturer making BOTH front and rear tires in the optimum sizes, please share because I couldn't find anything but the odd loose tire on eBay. The 60 series fronts are a bit tall, but if you go with the narrower ones the height shrinks as well. The 205's are only 24.7" tall. With a bit of effort I sourced a set of these V rated 295-50-15's from europe. Not this vendor, mine came from Germany through Holland. Had them flown to Boston, walked the papers through customs (no duty) and picked them up at the air cargo warehouse. About $600 after all was said and done. You need to be careful with the age of these tires. BFG's and Pirelli's start to crack through the outer treads somewhere around three years of age. The BFG's in particular will throw chunks of tread out like the retreads used to, leaving you to look at just the fiber from the carcass. The Pirelli's crack like this too between the tread blocks. One of the memebers here in Europe bought a Pirelli tire like this, NOS, and it failed within 30 or 40 miles. This considered, what is the point in looking for NOS tires that are more then a year old from manufacture regardless of whether or not they are used or not? Try the Mickey Thompson LT rear tires. There are more then a few 225-vr50-15 tires still made. You just are not going to find a matching set, front-back, in 15". Even Hoosier no longer makes them. 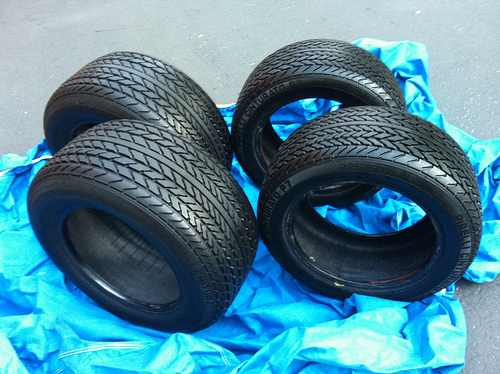 I have a new, never mounted, set of 295/50-15" Toyo Proxes ST's available. The pic shows what the identical set looked like on #5606 which I sold last year. My rears were 10" wide, but the tires fit fine on 8" wide rear wheels. These are used in conjunction with Toyo Proxes 4's on the front as they have a similar tread pattern. I wrapped them up when new and they have been stored properly. They cost me $400 including shipping from the East Coast, so that is my asking price. FYI-the manufacturing date was the 12th week of 2007. 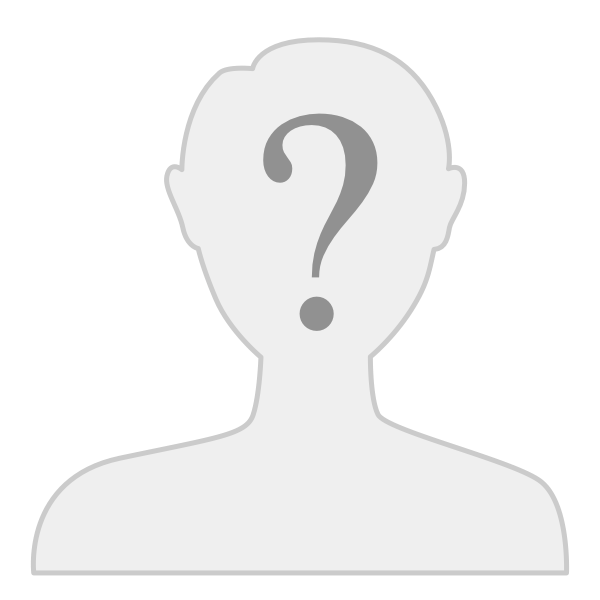 I am located in the northern San Diego area. I have 305/50/15 on th rear of my car ....BF Goodrich EURO TA's and boy they fit mighty fine on the rear 15 x 10 ... if they remade them I would be a happy man. 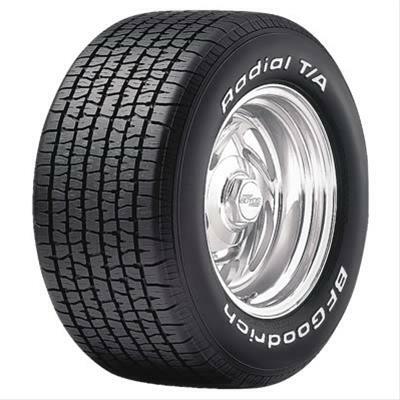 I think I'm going to lean towards what Mickey Thompson has for drag radial when the time come to replace them. These are the best fit now for the rear. Mickey Thompson 26-12-15. Built for an 8-10 inch rim. The BFG 295-50-15 is also a good fit and easy to get. It only has an S rating though. You can get the bigger tire in, the 305 Euro T/A but they were discontinued a while ago. When I was looking for BFG's, they were only available with the raised white letters-didn't like the look. Still are. I had my RWL Dunlops installed white-lettering in and then used tire paint over the letters so you wouldn't see it from the "inside" (it looks odd to see white letters from the insides). In case anyone is tempted, don't try to remove the white lettering because it's a layer of white rubber and you can easily wreck a tire cutting/sanding it off. Technically you are correct. Those tires exist. At $787 each for the rears, there are better solutions. That tire also requires a wider rim then a 10" AND is really too short (outside diameter) for the car. Use the Mickey Thompson in the rear. At $250 each, how can you go wrong? The 345 is for those of us running 13's. It is the correct size for that application. I agree Mickey Thompson offer a selection of street radials and they told me a new tire was coming out also. A new tire as in a new series, or in a new size? Interesting the quote "for American muscle"? I just don't see there is no market for 15" tires. I just don't get it at all? ... i guess for all the original muscle cars were going to have to ride on the rims when the 15's wear out ? Or drive competition tires on the street ... seems like there are more of a selection on comp tires ...where you would think there is less of a demand ? The only issue for me at the moment is that I am not ready to put tires on it for the fall. Probably yes in the spring though. I don't want to buy a set of tires now and have the clock ticking on the ageing of the rubber over the winter. The other issue is that there is not a matching set front to back, which personally doesn't bother me, and the concern is that since the 15" are going the ways of the Dodo birds, the Michey Thompson may get discontinued also. I'm not sure I want to run comp tires on the street. The rubber compounds are too sensative to temperature and as a result could be letheal until the warm up. How do you warm up a race tire when it is 20 degrees F? I noticed that they are used. I guess the set I have, stored in original shipping and storage bags with labels and zero miles, must be worth asking for 5 ounces of gold based on that ebay posting. Wow. $6K for 30-year old rock hard used tires. If those sell, Coker (or even Pirelli) would be nuts not to make a run of those. Heck, you'd only need to sell a few sets to cover the costs.